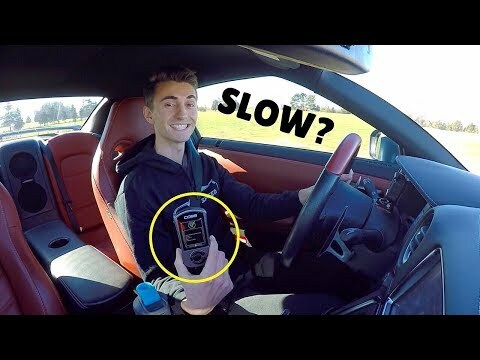 Slowest 0-60 Time EVER In a Tuned Nissan GT-R!! 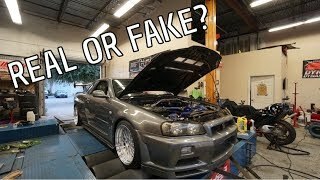 How can my tuned Stage 2 GT-R do 0-60 this slow?! 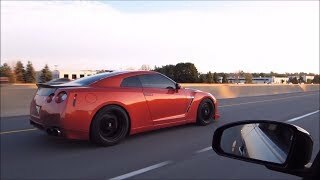 Slowest GT-R EVER! 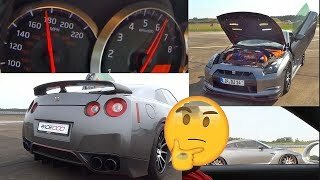 In today's video we test out all of the settings in my 2014 Nissan GT_R t see how the 0-60 and 25-70 times are! My car has 3in intakes, Armytrix exhaust and the Cobb off the shelf stage 2 tune! I tested the full boost map which is 18 psi in the transmission setting Race and then in Save mode. Next I had the tune on the valet mode which is 8 psi, and tested Race and Save transmission mode. Here are all the times. Definitely a huge difference between high boost and valet boost. And the transmission in Save mode also takes away a lot of the performance. Launch control in the G-R was pointless since I could not get traction. But you can see how there is a good 2 seconds of time added in the slowest setting. 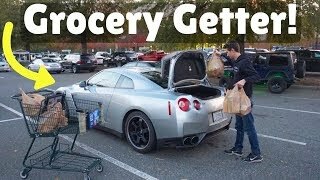 Hope you all enjoyed seeing how slow my GT-R can be! Once it warms up again I can get more accurate 0-60 numbers. When I did some launches over the summer, I was timing it at 3 seconds. Your cobb tune seems weak and you need new sticker tires forsure, get some soon. 5.4 sec does my 07 OUTBACK XT ( Automatic) straight from parking lot with all the crap in the trunk. It has Cobb intake and down pipe. Turn the TC off you moron. TheEryk03 Then the tires would just spin. Traction in Race mode is optimal to get as much traction as possible. Would be interesting to find out the g-force from 0-60.
soinyat1 I swapped it at the air strip. At full throttle on AAM’s tune, power was dipping in and out. The Cobb tune was much smoother. Get some tires and a dragy and get some real results. I just got my cobb not that long ago. Super great upgrade. I would recommend to get the transmission tuned as well! Automatic tuned is alot smoother. Sense yours is a 14, I'd do G2-LC4: 6AV0A optimized. That's the newest one for your car. Looks like it just takes off vdc for launch control which is fine. +James Robertson OK cool thanks for the info! 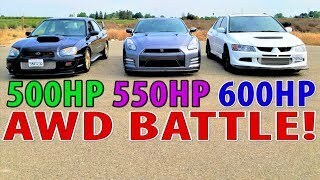 +Bros FOURR Speed I'm pretty sure mine is on, I had mine done due to my transmision needing rebuilt and I was highly recommended by my gtr tech to get it to help the longevity of the new trans. Check forums as well I've heard vdc off could damage drivetrain. 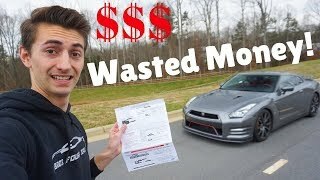 My advise on getting a better launch, if you have a Cobb use it to lower the launch RPM to about 3000-3200 on the street especially using stock tires or street radials. Next which I have found to be maybe the best bolt on for the $$ is aftermarket control arms, toe rods and traction rods. These will allow you to remove that negative camber and get all the tires tread on the pavement, my car is a FBO E85 and now cuts 1.4 sec 60' at the track just from these rods! I had new rims and drag tires before the rods and could only get a 1.6 60', so trust me that negative camber is no bueno for acceleration just cornering. Frank Thomas Very cool info. The only other time it came on was when I was at the drag strip. I drove over the water in front, but only my left tires went through the water. Spun like crazy off the line. That time the clutch light stayed on for a bit. I had to drive like a mile for it to turn off. This time it was just for a second. And when I was at Nissan they showed me where a purge valve hole was when it over heats. 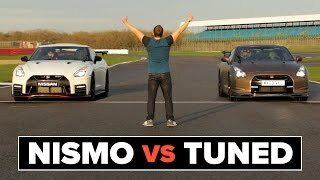 Have you got a AWD controller on your GTR.? Frank Thomas dang that’s insane! +craig g Linney would be the one to purchase it from if your looking at buying one. His knowledge is extensive on road course GTR's and would be able to properly assist a customer in setting up/tuning the controller. I'm in the uk.My controller is from linney tuning here in the uk.No problem with how mine is setup. 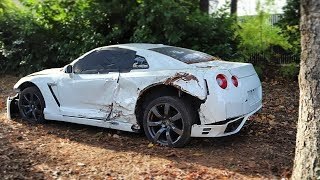 No issues with my GTR. +Bros FOURR Speed Currently my best 0-60 time is 2.2 seconds at the dragstrip, without the controller. Something is definitely wrong with your 4wd. Supercars Hunter It’s just the 40 degree temp outside. Cold tires. They’re about 4mm. It was fine on the airstrip when it was like 60 out last month. 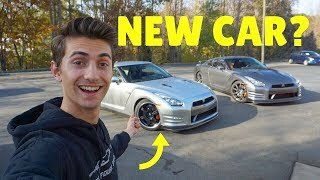 +Supercars Hunter If I'm not wrong he has the stock run flats. 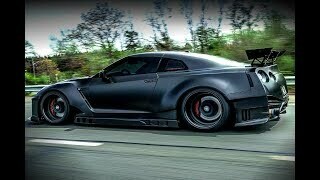 Also regarding the 1000hp GTR's not spinning it would be a combination of suspension, tires, and a great Tune. When I was FBO I had to turn LC down to 3400 rpm in good conditions. Never tried in the winter. VDC off with Cobb TC works much better than the stock LC. You need to try a VDC off TCM tune. +Bros FOURR Speed let us know what you find out. +Frank Thomas Yeah I was able to install the TCM tune in general, but it only let me pick from the few that are pre loaded onto the AP. I'll email and see why I can't download one from the website and install. Great video man!!!! That was so cool and awesome!! I love your car!!! I can't wait for y'all next video. +Bros FOURR Speed yall welcome!!!! Fun stats. There he goes folks. Rocket Man! 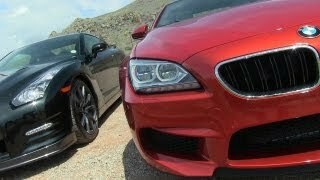 Your car makes me want to get out of my FJ and into something with some speed! David Nilles haha it’s fast for sure! Hope you had a good Christmas and hope you have a Happy New Year! kbw1970 We did! Thank you, you too! 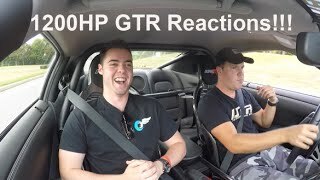 My Ride In A 1200hp Alpha GTR! 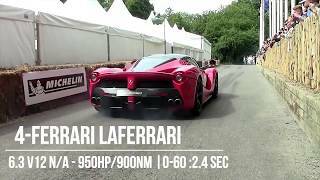 0-60mph in 1.9s!! 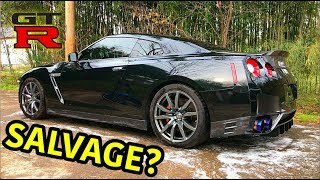 Can You Live With A Nissan GT-R Black Edition? 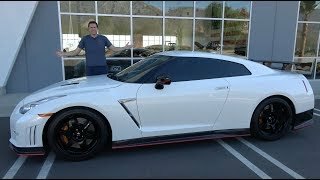 Is It Time To BUY My SECOND Nissan GT-R? !